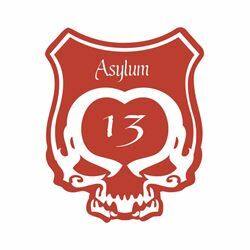 Asylum 13 Corojo is among the most traditional offerings from the notoriously unorthodox nature of Asylum Cigars. The brand debuted in 2012 as the brainchild of Tom Lazuka and Kevin Baxter, paired with the vast experience of Christian Eiroa. 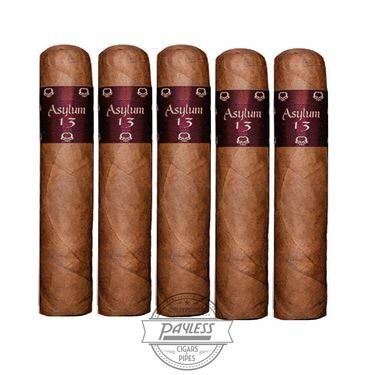 While Christian’s family has long been known for their experience with Honduran tobaccos (best known as the previous owners of Camacho Cigars), Asylum Cigars made the decision to focus on the fiery qualities of Nicaraguan tobacco. 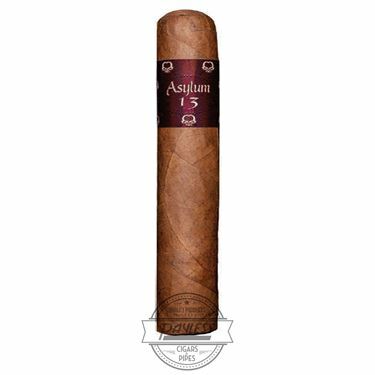 As identified by the cigar’s title, the Asylum 13 Corojo showcases a pristine Honduran Corojo-seed wrapper. In fact, all tobaccos in the blend are Honduran. 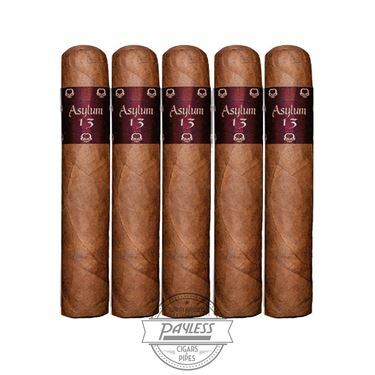 For decades, the Eiroa family has been known for their signature Corojo tobacco, which is grown on Christian’s father’s farm in the Jamastran Valley of Honduras. With this blend, the Asylum 13 Corojo takes on an unmistakably Cuban-esque smoking profile, as the Eiroa’s “Authentic Corojo” is a close representation of the leaf from Cuba’s heyday in the 1940s. 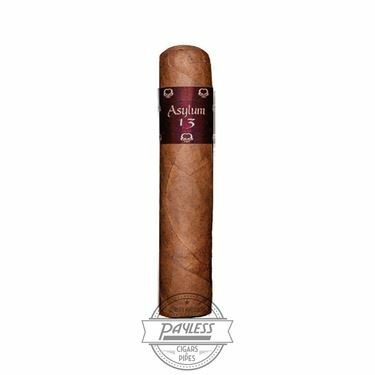 The smoking profile is medium-bodied and showcases bright and complex nuances of citrus, spice, nougat, and sourdough bread.